This contemporary coffee table is finished in a glossy white and has sleek brushed nickel metal finished legs with clean lines throughout. 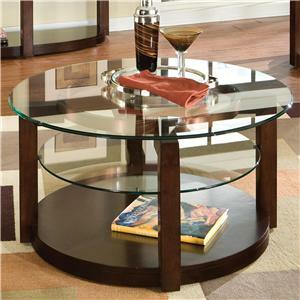 Perfect for storing blankets, books, and more, this coffee table features two drawers on each end. 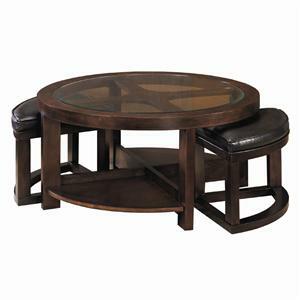 The 70569 Rectangular Coffee Table with Two Drawers by Coaster at Carolina Direct in the Greenville, Spartanburg, Anderson, Upstate, Simpsonville, Clemson, SC area. Product availability may vary. Contact us for the most current availability on this product. Storage Two drawers, one on each end of the table. This contemporary collection is complete with a glossy white finish and sleek legs with a brushed nickel metal finish. 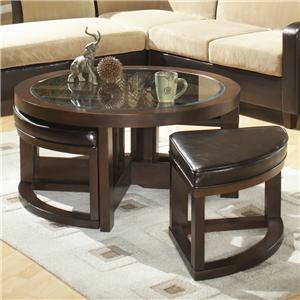 Stylish and functional, this occasional table collection features drawers and shelving for living room storage and decor throughout. 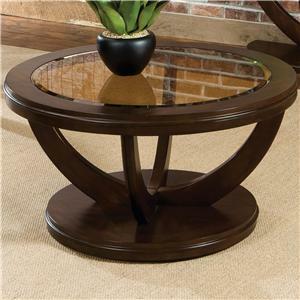 The 70569 collection is a great option if you are looking for Contemporary furniture in the Greenville, Spartanburg, Anderson, Upstate, Simpsonville, Clemson, SC area. Browse other items in the 70569 collection from Carolina Direct in the Greenville, Spartanburg, Anderson, Upstate, Simpsonville, Clemson, SC area.